Very few people go through the holidays without entertaining at least once. Probably twice. Three times? It’s not unheard of. It’s enough to make a normally composed person lose their, well, composure. 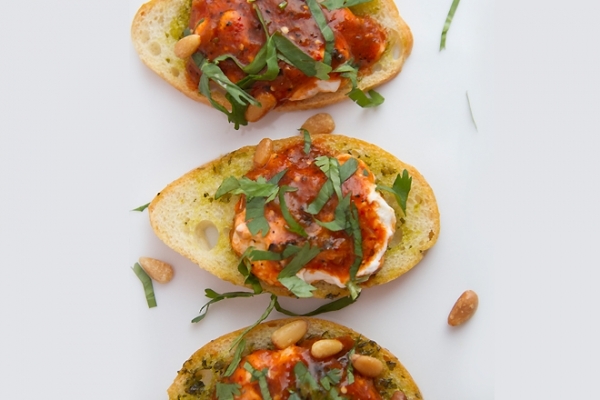 But don’t start biting your nails just yet: This recipe for salsa-baked goat cheese is your salvation. It’s got a total of just 5 simple ingredients, some of which you may already have, and all of which can be stored in your kitchen until the moment your doorbell unexpectedly rings. In fact, this dish has only one drawback: It’s so good, your guests may never leave.